Machine de Cirque perform Friday in front of Calgary City Hall, at 5 p.m. and again at 8 p.m. in a free show that promises plenty of acrobatic spectacle. If you can see through the smoke, and withstand the heat, the weekend looks as if it may bring some much-needed respite. Homestretch director Tracy Fuller had a few ideas about how to celebrate the arrival of cooler temperatures and more breathable air. One of the world's best taiko drummers —​ Eitetsu Hayashi — is in town to demonstrate his musical mastery. 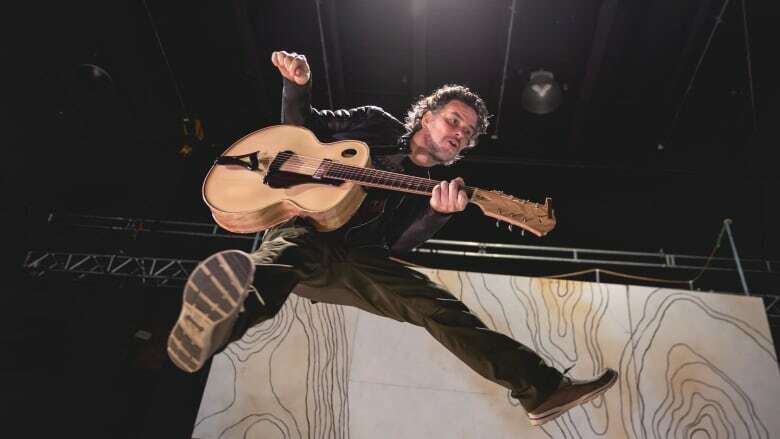 He's performing Friday at the Studio Bell Performance Hall, in a show that's already sold out, but he'll also appear at Calgary's Omatsuri Japanese Festival Saturday at Max Bell Centre. Along with Master Hayashi, the festival will feature a number of other taiko drum demonstrations, as well as martial arts, traditional dance, robots, sand art, floral demonstration, Japanese blacksmiths, and a sword display. 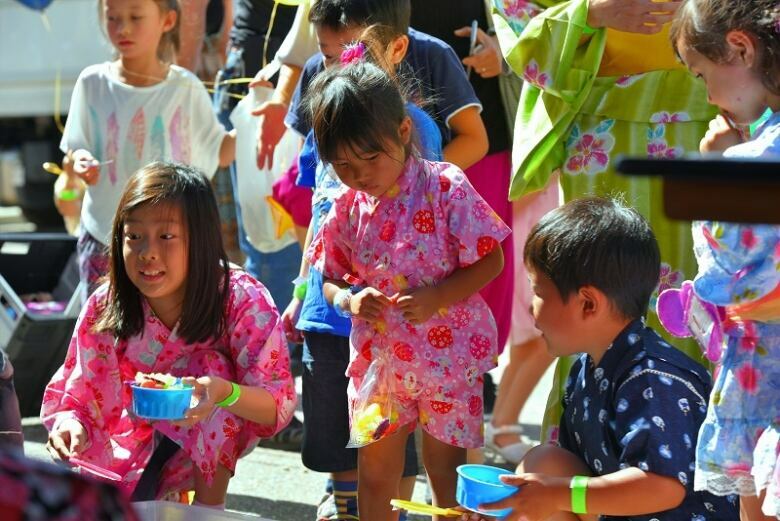 The Calgary Japanese Festival Omatsuri goes Saturday from 10 a.m. to 5 p.m. Admission is $7 for adults, $3 for youth and kids five and under are free. On the other side of the cultural coin, taking place right across Macleod Trail in Olympic Plaza and Arts Commons is Happenings 13. That's the free experimental art party, which will feature its own Big Top, circus entertainers and a sampling of work from a number of visual and media artists in the city, including people like Dana Buzzee (Ledge Gallery), Blake Chorley, Susanne Aaltonen, Brittany Nickerson (Window Galleries), Treaty 7 Film Collective (Broadcast Lab), Lane Shordee (Lightbox Studio) and Tona Ohama (+15 Soundscape). 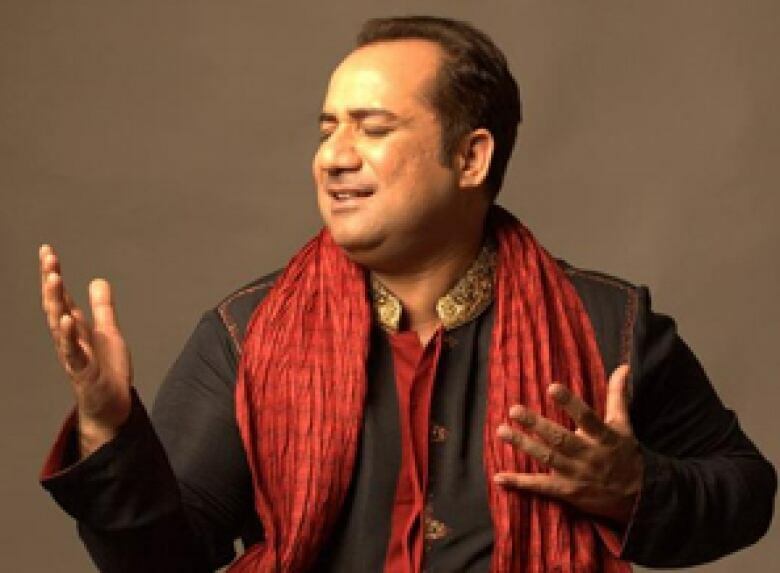 One of Pakistan's most famous singers performs at Jack Singer Hall Sunday night at 7 p.m. That would be Rahat Fateh Ali Khan, whose Qawwali music — it's a kind of Sufi devotional — is all over a number of Bollywood, Hollywood and Lollywood [Pakistani film industry] soundtracks. The Whyte Museum in Banff is hosting Doors Open Banff Sunday from 1 to 4 p.m. Seventeen of Banff's oldest and most historically significant buildings and sites will be open to the public for tours — and history lessons on the side. 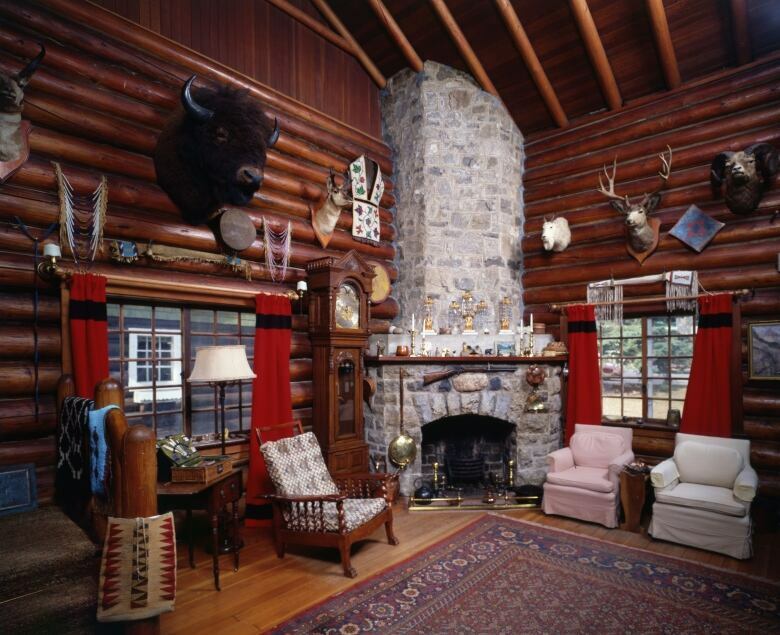 That includes the Norman Sanson House, new this year, in addition to a few returning favourites, including the Old Banff Cemetery, Tanglewood, the Old Crag Cabin and more. There are free outdoor movie screenings all over the city right now. Spruce Meadows has one almost every Wednesday in August. RoundSquare is hosting one Thursday in Marda Loop, on 33rd Avenue S.W. But for the weekend, here's two that couldn't be targeted at more different demographics. In Kensington, in the parking lot between the Hayden Block and Purr, the Kensington BRZ is screening the original Jumanji — the Robin Williams one, not the Rock one. It's BYOC — bring your own chair. Meanwhile, Saturday, the Calgary Society of Independent Filmmakers (CSIF) and Truck Contemporary Art are presenting a Bike In Cinema presentation of a 1977 Japanese horror fantasy called House. The plot revolves around a schoolgirl, named Gorgeous, and six of her classmates who travel to Gorgeous' aunt's country home — and all the bizarre ways the country house tries to devour the girls. House screens at sundown, around 9:30 p.m. in Royal Sunalta Park, next to the Scarboro Community Association and Calgary Tennis Club. It will be preceded by a short called You are a Lesbian Vampire. If you're a fan of Foreigner, it probably doesn't matter what the plot line of Jukebox Hero, a new musical based on their music, is. After all, the show is jammed with all 16 of their Top 10 hits. 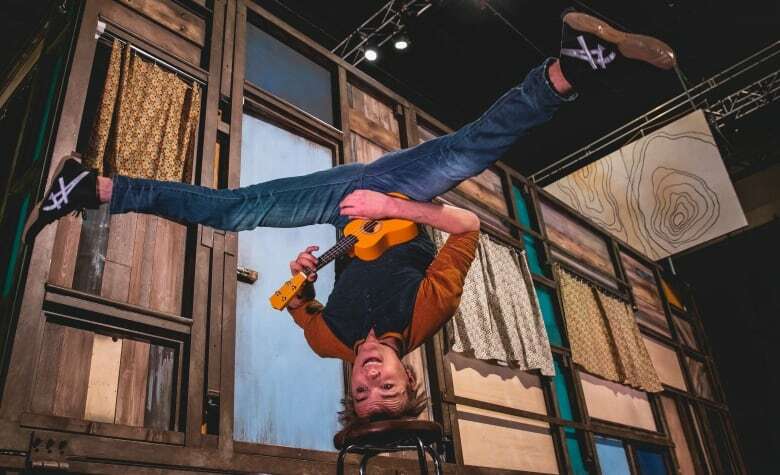 If the plot, which is about a Pennsylvania town under threat of losing its main production plant, until Ryan Perry, the local musical hero who made it comes home to perform a fundraiser and tie up a few emotional loose ends, grabs you, so much the better. The world premiere is Friday at the Jubilee. The show runs through Sunday.